When you start adding new products to your skincare routine, it&apos;s not always smooth sailing. Sometimes, they can break you out! But there are "good" breakouts and "bad" breakouts. The good kind are known as "purging" or an "initial breakout"—and it&apos;s worth suffering through the process, because on the other side is better skin. The bad kind are just, well, breakouts. And they won&apos;t get any better unless you stop using the offending product. What to do if you can&apos;t figure out which one is happening! Acids, vitamin C serums and retinoids can all cause purging. Purging is an initial acne breakout that can occur when you&apos;re starting a new active skincare product—one that causes your skin cells to turn over more quickly. You can also experience purging after receiving professional microdermabrasion, laser resurfacing treatments or chemical peels. Purging happens because these products and treatments make you shed dead skin cells faster, helping to loosen trapped sebum and debris. This accelerates the rate at which pre-existing clogged pores (also known as microcomedones) rise to the surface and become blemishes. Did you know that it can take weeks, even months, for clogs brewing deep within your pores to manifest as visible breakouts?! When this process speeds up, it can definitely be alarming, because you&apos;ll see a bunch of pimples appearing all at once. But it&apos;s actually a positive thing to purge. The pimples would have shown up eventually anyway, or the hardened sebum would have remained stuck in your pores, keeping them clogged and inflamed. If you are indeed purging, it&apos;s best to stick things out and continue using the product because your skin WILL improve. It&apos;s just a case of things having to get worse before they get better. A purge can last as long as two months, and you should start seeing an improvement by the six-week point, if not sooner. On the other side of a purge is cleaner, clearer skin! Still not sure this is happening to you? Below, three signs that you might be experiencing purging. You introduced a new product that increases skin cell turnover: Again, any product that increases the rate at which your skin cells turn over can trigger a purge. If you&apos;re not sure whether your product could be a culprit, examine its ingredients list. Typically, the first five ingredients compose about 80 percent of the formula, so those are the ones most likely to give you issues. For example, if you see salicylic acid listed third, it&apos;s probably safe to assume that it&apos;s making you purge... whereas if it&apos;s the 19th ingredient, it&apos;s not present in a high enough concentration to have much effect. The purging is in your usual "problem areas": Usually, purging arises in the areas of your face where you&apos;re already prone to breakouts. So, for most people this would be in the oilier T-zone: chin, forehead and nose. Places where you&apos;re used to getting pimples, or where you can feel or see bumps under the skin surface. It clears up within two months: Purging doesn&apos;t last forever, thankfully! The process usually takes one to two months, max. If you are truly experiencing a purge, your skin should start turning a corner after about six weeks, with fewer and fewer breakouts. Moisturizers, face oils, sunscreens and foundations can all cause breakouts. Breakouts can also happen when a new product in your routine doesn&apos;t agree with your skin. It could be that a certain ingredient is clogging your pores, leading to blemishes. But it could also be a result of an irritation or an allergic reaction. That&apos;s right—irritating and allergenic ingredients can also give you pimples because they create inflammation, which can make microcomedones flare up, turning into visible acne. What&apos;s more, irritation weakens your skin barrier, letting in acne-causing bacteria. Unlike purging, it&apos;s best to STOP using a product if it is breaking you out. Your skin probably won&apos;t "get used to it" if you continue to apply it. Rather, you could cause serious damage to your skin—more inflammation, more sensitivity, and deeper acne that may scar! Can&apos;t figure out if you&apos;ve got this going on? Below, four signs that you might be experiencing a breakout. The product is not "active": If the new product you introduced has nothing in it that speeds up cell turnover, then you&apos;re probably not purging. Some of the product types that can cause breakouts, but are unlikely to cause purging, include: bland moisturizers; hydrating serums, essences, mists and toners; face mists; sunscreens; tinted moisturizers; BB and CC creams; and foundations. In other words, products that are designed to hydrate or protect rather than treat a skin issue. If you&apos;re using one of these, there&apos;s likely some ingredient that is either clogging you (like oils or silicones) or irritating you (like preservatives or fragrances). 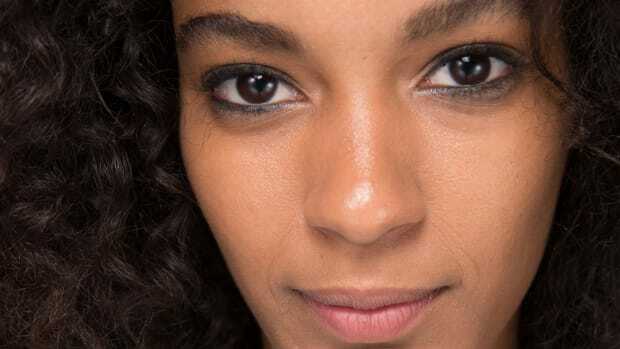 You&apos;re breaking out in new areas: If you&apos;re experiencing sudden acne in places where your skin was always crystal clear, then it may not be a purge. For example, you might notice breakouts on your cheeks, where you&apos;ve never had any issues, and there weren&apos;t any trapped clogs to loosen. This would indicate that it is more of a reactive breakout to a problem ingredient. It lasts longer than two months: With a purge, you&apos;re going to see an improvement in the acne within six to eight weeks. If your skin got worse after starting a new product and STAYS worse, for longer than two months, it&apos;s a breakout. Best to give up on that particular product and use something else! Your skin is tight, dry, red or itchy: Redness, dryness and itchy, burning skin are symptoms of irritation or even an allergic reaction. It&apos;s normal for some active products with an acidic pH—think AHAs, BHAs, vitamin C and retinoids—to initially make your skin a little irritated. But if you&apos;re NOT using an active product and this happens along with breakouts, it&apos;s a bad sign and indicative of a reaction. Now, there are a couple of situations that could go either way. 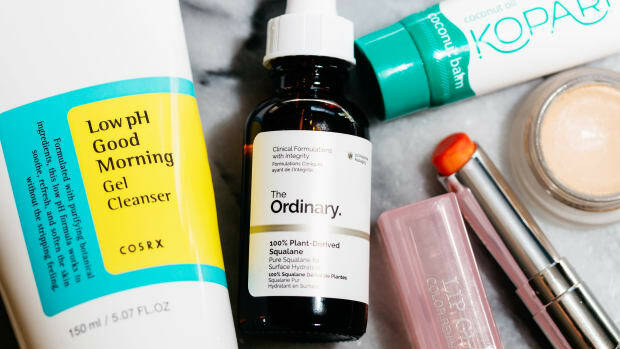 You were already using products that increase skin cell turnover: Maybe your skincare routine has long included one or more active products like acids, retinoids or vitamin C. But then you added one more, and suddenly broke out. What gives? It could be purging if the new product is much more potent than the other actives in your routine. (This happened to me, when I went from Biologique Recherche Lotion P50, which contains lactic acid, to COSRX BHA Blackhead Power Liquid, which contains salicylic acid—a much stronger acid.) Alternatively, the new active might have been the tipping point, pushing your skin into a state of irritation. Or it could simply be a particular ingredient in the new product that doesn&apos;t agree with you. The only way to really know is to stop using all your actives, and then reintroduce the problem one, paying close attention to your skin! The product increases skin cell turnover AND contains clogging ingredients: One last dilemma is when you&apos;re using an active skincare product that ALSO contains ingredients that can clog pores. For example, it could be an acid, retinoid or vitamin C that is also high in silicones or oils. If you&apos;re using something like this and breaking out, you can try switching to an alternate formula of the same strength that doesn&apos;t contain the clogging ingredients. Any breakouts that arise from the replacement product are more likely to be purging. Switching to gentler active ingredients or niacinamide may help you deal with purging and breakouts. Give your skin a break: For now, maybe not forever. Just try stopping the product in question long enough to calm down any possible irritation. You can reassess your skin after about a week. If the acne has slowed down but you still have under-the-surface clogs, it&apos;s a sign that you need to continue with the purge. If your skin is better overall, then you know that&apos;s not the product for you. Lower the strength: Consider swapping one or more of your actives for weaker versions, if available, and see if that helps. For example, if you&apos;re using a strong salicylic or glycolic acid, you could try switching to Juice Beauty Blemish Clearing Serum, which contains 0.75 percent salicylic acid, or even the lactic acid-based Lotion P50. Shani Darden Texture Reform and CyberDerm Retin+Erase are gentle retinoids, while Dermalogica BioLumin-C is less aggressive (not to mention less oily!) than most L-ascorbic acid serums. Try buffering: You can also dilute an active product by applying it after (instead of before) moisturizer; mixing it with moisturizer; or foregoing the usual waiting time before moisturizer. This way, the effect won&apos;t be as harsh. I love Omorovicza Elemental Emulsion! Space out your actives: Be careful about overloading your skin by applying too many actives all at once. It&apos;s safest to use them at different times of day. Otherwise, a good general rule is to limit yourself to two, layered at least 30 minutes apart. You can also skip a day or two—not everything has to be applied daily! Consider niacinamide: If you&apos;re struggling to find an active product that won&apos;t cause purging OR breakouts, niacinamide is a great choice. It&apos;s non-acidic and likely to be well-tolerated no matter what your skin condition. It&apos;s also an antioxidant and has an array of benefits—it and treats pigmentation, acne, wrinkles, oily skin, large pores, redness and dryness. I like The Ordinary Niacinamide 10% + Zinc 1%, Skin Inc. Vitamin B3+ Serum and Paula&apos;s Choice 10% Niacinamide Booster. Determining whether it&apos;s purging or a breakout can take time and self-experimentation. If you&apos;re getting a bout of acne after starting a new product, I hope this helps you determine whether it&apos;s purging or a breakout. 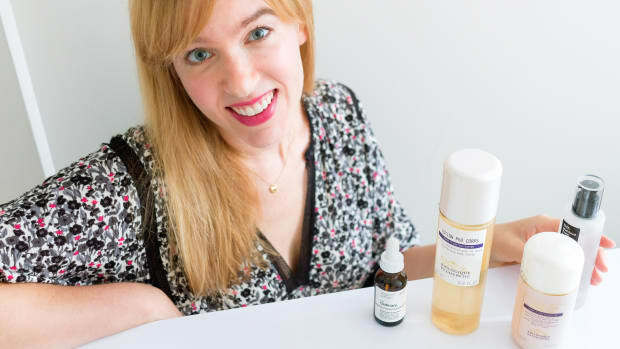 Often, it can take quite a lot of self-experimentation—like a skincare elimination diet!—to figure out exactly what&apos;s going on. Personally, I&apos;ve broken out many times from different products (especially ones with certain oils and silicones)... but I&apos;ve only experienced a purge ONCE. And I&apos;m so glad I did! Otherwise, I never would have experienced the clearer skin that I get from salicylic acid. Yes, it was annoying to deal with a bunch of breakouts on my chin for those few weeks. But I&apos;m so glad I didn&apos;t give up, because my skin is so much less congested now. Have you ever had purging? What do you think caused it and how long did it last? Has a certain ingredient ever broke you out?